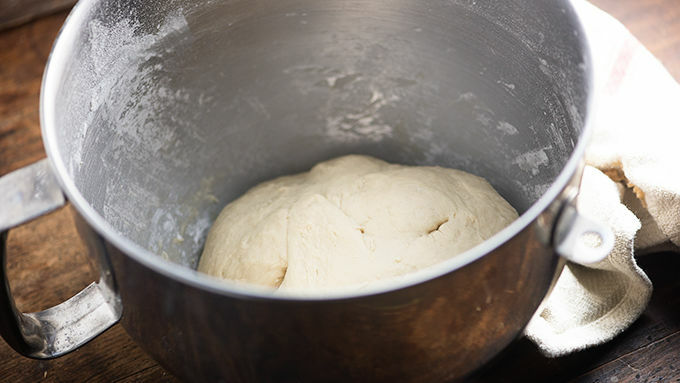 Place 1/4 cup of water in the bowl of a stand mixer fitted with a dough hook. Sprinkle the yeast over the top and let sit until foamy, about 5 minutes. Add the remaining water, 4 1/2 cups of flour, butter, sugar and salt to the mixer. Mix on low speed until combined. Increase speed to medium and knead for 5 minutes or until the dough is smooth and elastic. Add more flour as needed, to get the dough to come together. 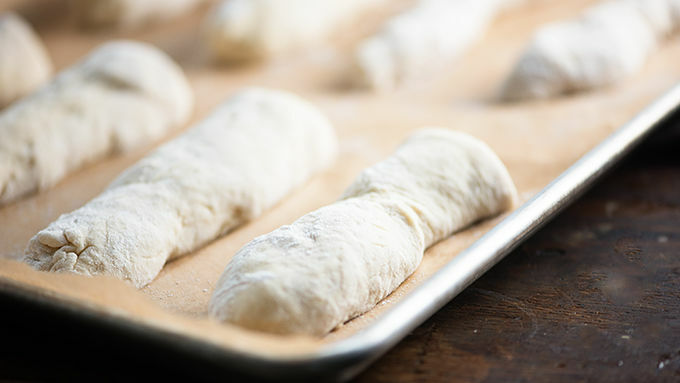 Break dough into fourths. Roll each fourth into a long, thin log about 16 inches long. Cut each log into three pieces. 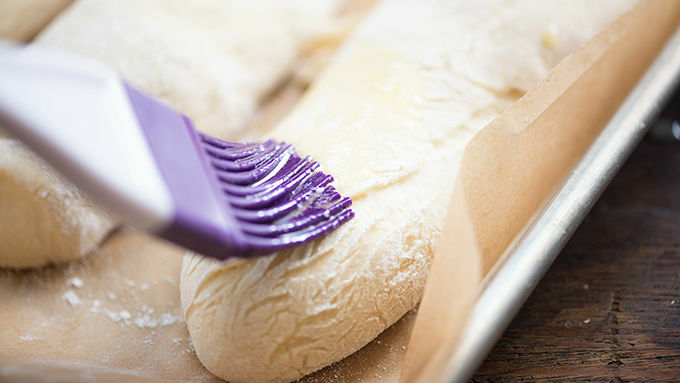 Place the breadsticks on a parchment-lined baking sheet and cover with a clean cloth. Lightly brush 2 tablespoons of butter over the breadsticks and bake for 15 minutes or until golden brown. Remove from the oven. Brush with the remaining butter and sprinkle with the garlic salt. Serve hot. So I know it’s not popular in some circles to admit that you love Olive Garden™, but I’m going to do it anyway. That salad. Their Alfredo sauce. 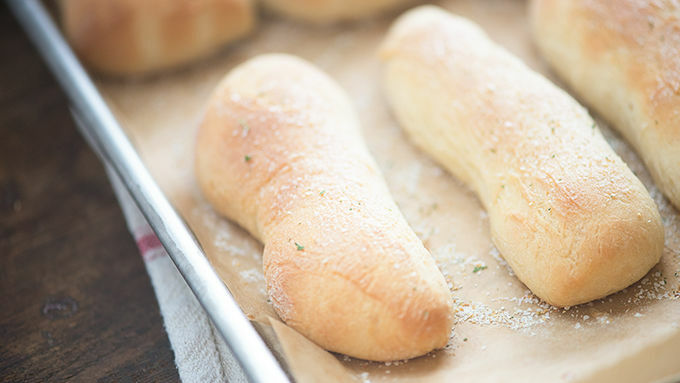 Those breadsticks. Wait. Let me repeat that. 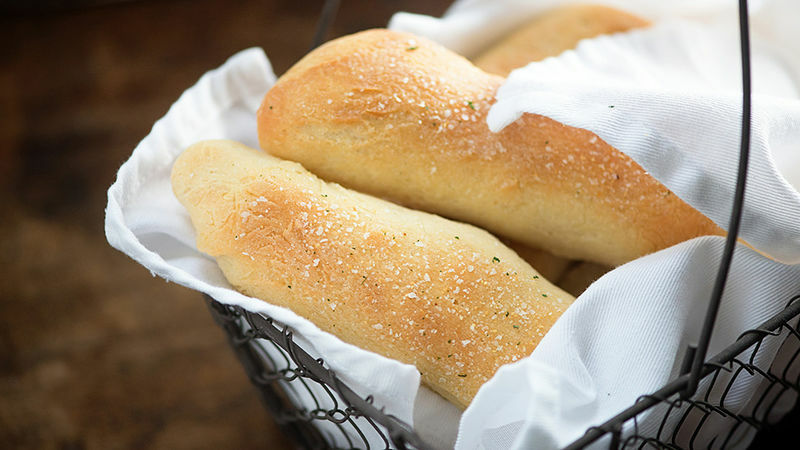 Those breadsticks. So warm and fluffy straight from their oven. Topped with salty garlic and butter. Heaven, I tell you. Let’s recreate them at home, shall we? I’m starting with a Food Network™ [ recipe with just a few tweaks—because why reinvent the wheel? Do you even know what your house is going to smell like when you make it to this step? Your neighbors will be banging on the door asking for a dinner invite! Guaranteed.